Tug, shake, fetch, and pull. 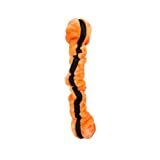 These stretchy toys provide bounce-back action. Each toy squeaks and rattles and is a must have for any tug-of-war champion. Very functional in cold climates.One of a kind gift ideas! The Amasale beard hat is ideal for snowboarding, skiing, hiking and all other winter or outdoor sports. They are also becoming popular Hockey fan beards and a great way to support your favorite NHL Hockey team! Be the life of the party! Stay warm on whatever winter activity you choose.Wherever you are, wear this hat make you warm and more cool.